Take grandpa sneakers beyond athleisure. Featuring those Monsters, Inc. Prada boots and Maison Margiela's cleft-toed sacks. 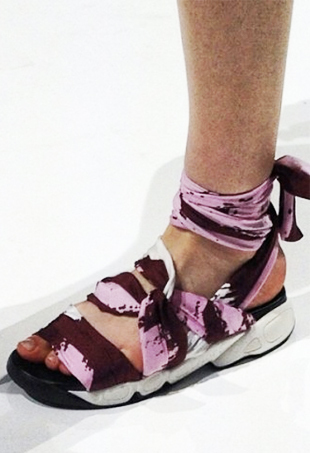 The fashion world has fully embraced the ugly shoe trend for spring, and you know what? We’re not complaining.